Rent Montage, Laguna Beach | Corporate Events | Wedding Locations, Event Spaces and Party Venues. Our majestic seaside setting provides a backdrop of serenity and beauty, as well as plentiful activities within the resort and in the surrounding area. At Montage Laguna Beach, our event and wedding specialists will help you create a celebration as one of a kind as you are. From the early planning phases to the moment you say “I Do,” nothing inspires us more than bringing your wedding dreams to life. Offering the finest in service, event planning and accommodations, the California beach wedding of your dreams can be as breathtaking as our oceanfront setting. Montage Laguna Beach inspires once-in-a-lifetime romantic memories, the perfect setting to exchange vows and celebrate in the company of family and friends. Each celebration is the only wedding of the day at our resort; this is your moment, a moment of a lifetime. Successful meetings have two essential ingredients: a great location and a great team of assistants. Montage Laguna Beach offers you both. Our majestic seaside setting provides a backdrop of serenity and beauty, as well as plentiful activities within the resort and in the surrounding area. And as our associates help you plan and facilitate your Laguna Beach event, they will exemplify graciousness and knowledge – hallmarks of all Montage service. Let the spectacular drama of our oceanfront setting lend magic to your life’s special moments, from intimate anniversary parties to gala charity balls for 200. 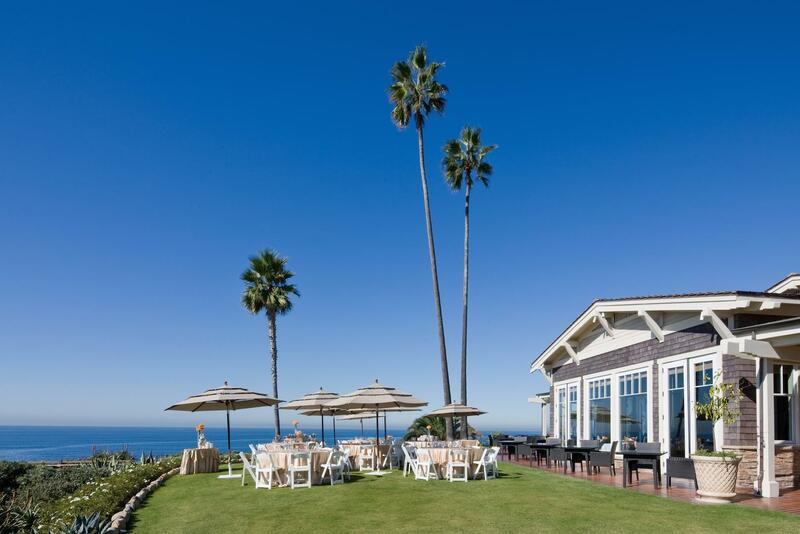 Choose from one of our scenic event venues in Orange County–the serenity of a pristine beach, the beauty of a lush lawn or perhaps the grandeur of a sparkling ballroom. Our award-winning master chefs will tailor their California-inspired cuisine to your tastes, and our planners can help you make creative use of all of our acclaimed amenities, such as the signature Spa Montage, Mosaic Pool and cabanas, outdoor fire pits and more. Choose from one of our four private dining options. Including the Studio, Studio Chef's Table, Studio Private Dining Room, or The Loft. Just request for more information.